If you’ve got kids in school, you’re likely haunted by piles and piles of papers constantly floating through your castle. Permission slips, homework, information sheets, artwork — I’m sure you’ve seen it all! It’s easy for it to get out of hand, so to help save your sanity we’ve scared up a few simple, smart, and spooky ideas for organizing all of that stuff. Choose one of these Hotel Transylvania 2-inspired tricks that work best for your family, or use them all for a little extra credit! Clip It. 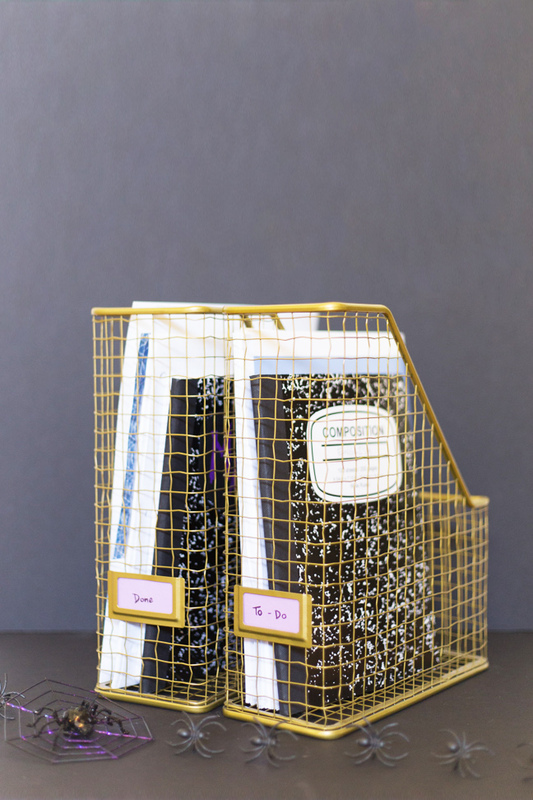 To keep stacks of permission slips, note cards, or homework together, we hear Mavis uses small clips adorned with creepy crawlies to catch them tightly in her web of organization. Customize Some Magnets. Makes no bones about it: The refrigerator is the tried and true spot for displaying artwork, great test results, and more. 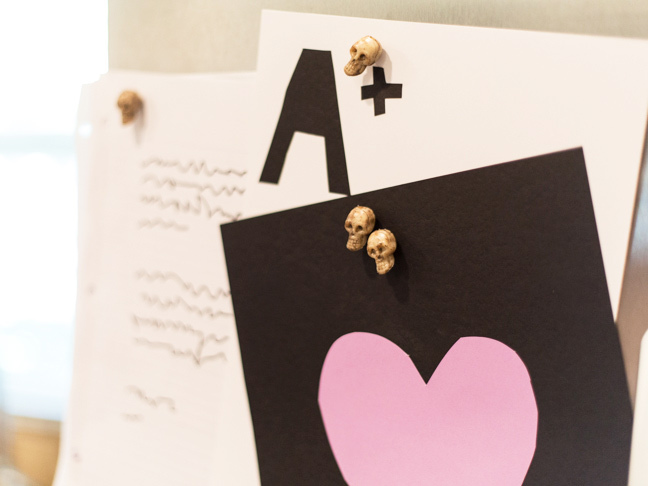 Do what fun dads like Johnny do, and ditch the boring old magnets by super gluing something cool—like a small skull—to a tiny magnet before putting up your favorite pieces to admire. 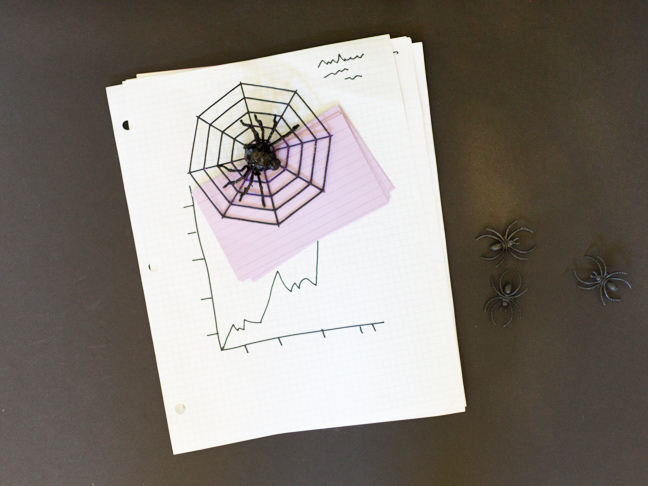 Make Filing Fun. Help your kiddo learn that it is fun to keep his papers organized. And better yet, help him decorate the filing folder! 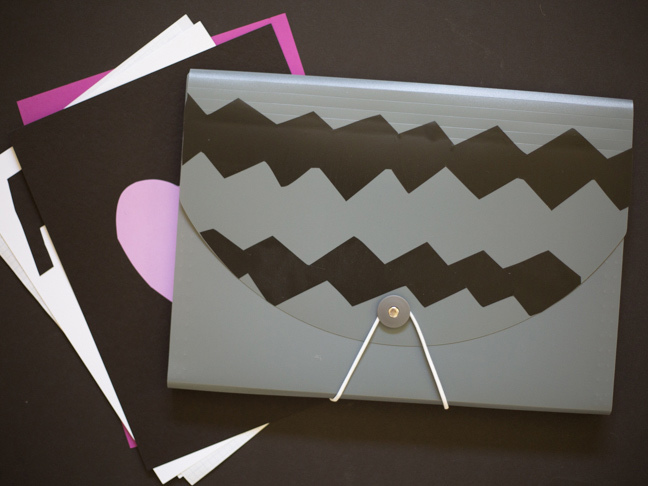 Get an inexpensive accordion folder cryptic-colored contact paper. 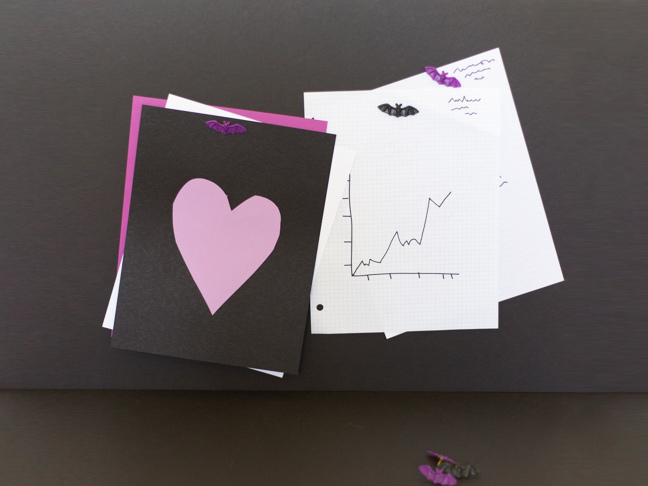 Cut the paper in fun patterns—like multiple mouths trying to be even louder than Eunice—peel off the backing, and stick it to the folder. Then round up your little monster for an impromptu labeling and filing boot camp! Upgrade Your Stacks. Instead of ghastly stacks of homework piling up, help your child set up a fun version of In and Out boxes. 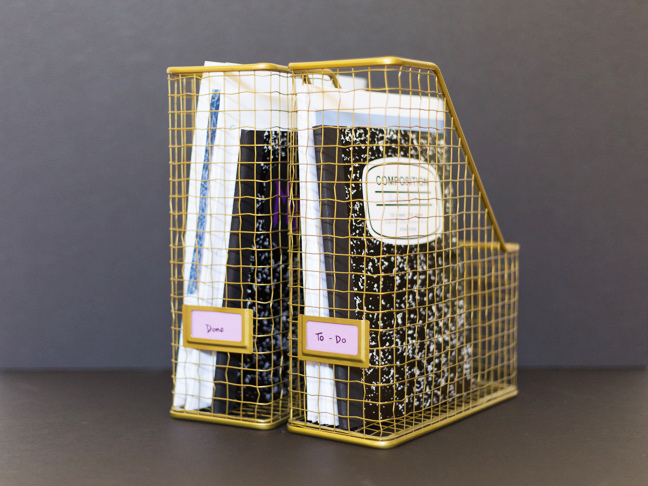 Find two upright magazine holders, like these gilded cage-looking ones, and label them “To Do” and “Done.” It’ll help even little students like Dennis stay organized and tidy. Pin it Up. Set your child up with a coolly ghoulish bulletin board where she can display her own favorite papers, whether it’s schoolwork, artwork, photos of friends, or ticket stubs to see Drac insist he doesn’t say, “blah blah-blah” in Hotel Transylvania 2. 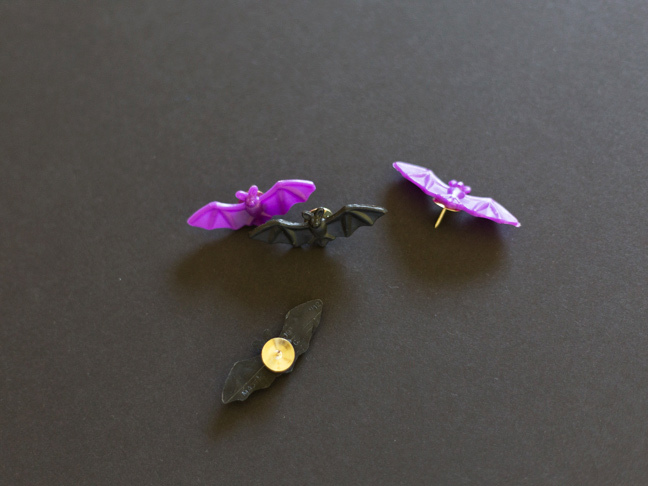 Find some little plastic spider or bat rings, cut off the animal from the ring, and super glue a thumbtack to the back. Your kiddo will scream with joy at having some custom thumb tacks to hold up her papers!